Hymenocallis / Ismena is also known as membrane flower, Peruvian lily, lily nile etc. It is a genus of plants in the family Amaryllidaceae, subfamily Amaryllidoideae. It contains more than 60 species of flowers native to tropical and subtropical America. Hymenocallis are bulbous perennial herbs. The flowers’ stamens are connected to a characteristic corona. Hymenocallis means "beautiful membrane" in Greek, which refers to the staminal corona that connects the stamens for a portion of their length. The plants have large spectacular flowers. 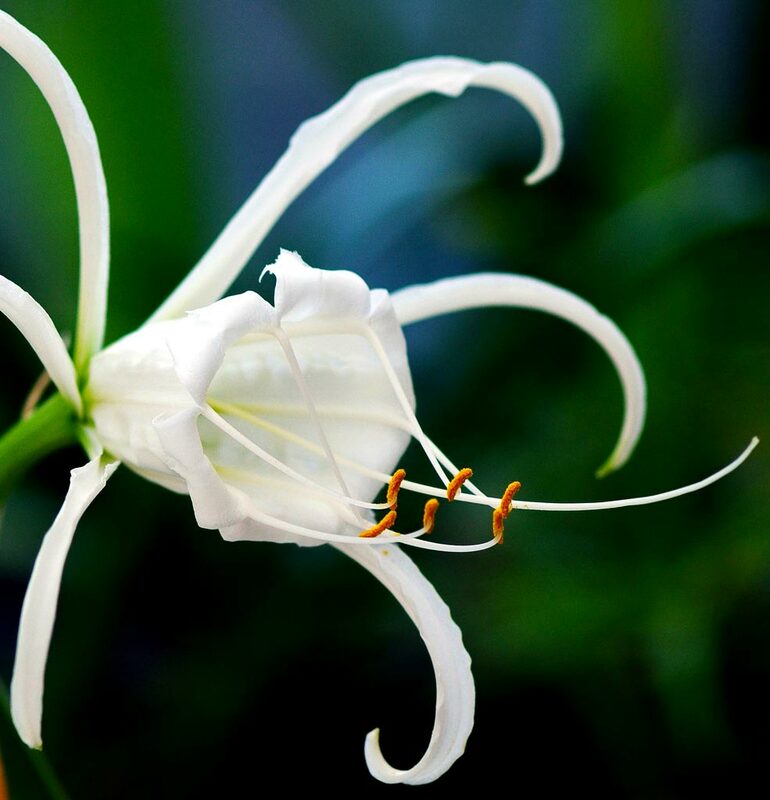 Some of the species are known as "spider lilies". The three closely related genera once classified as Hymenocallis are Ismene, Elisena, and Leptochiton. Ismene, Elisena and Pseudostenomesson are now considered subgenera of Ismene. For the description of the difference between Ismene and Hymenocallis, consult the Ismene wiki page. Leptochiton (the former Hymenocallis quitoensis and Hymenocallis heliantha) is recognized as a distinct genus. Ismene Hybrids includes hybrid plants that are part of the Hymenocallis complex including the genera Elisena, Ismene, Hymenocallis, and Leptochiton. The plants known as Hymenocallis × festalis and Hymenocallis × spofforthiae 'Sulphur Queen' can be found on this page. Seeds are fleshy and tend to be of odd shapes and can vary quite a bit in size on a single pod. When the seeds mature, just toss them on the surface of the pot beneath the parent plants. Keep the soil moist. Germination can take up to 3-4 months (Dave Lehmiller, Stephen Hopkins). Some flower growers prefer to plant the seeds half-way into the soil. Early spring bloomers such as H. liriosme, H. coronaria, H. crassifolia, etc... sprout within a month or so while the late season bloomers may not sprout until the following spring (Stephen Hopkins). In areas where the ground does not freeze, Hymenocallis can be a spectacular member of the summer garden. They like good drainage and grow well in a soil rich with organic matter. Species include Hymenocallis liriosme, known as 'Shinners spring spiderlily', 'Texan spider lily' (Hymenocallis liriosme), has a distinct yellow center. 'Alligator lily' (Hymenocallis palmeri) is found in southern Florida and has a yellow center. Hymenocallis speciosa produces brilliant flowers from late summer to late autumn.